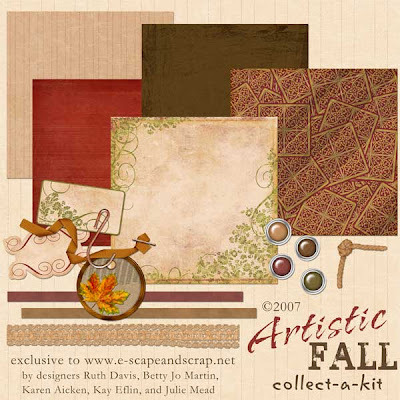 The fabulous Julie Mead, along with Kay Eflin, Karen Aicken, Ruth Davis and Betty Jo Martin, have designed this wonderful e-part kit titled Artistic Fall. What gorgeous colors and elements. Thank you so much ladies for this wonderful kit. Be sure to check the store for coordinating kits and elements!